Even if caregiving isn’t impacting you personally, your workforce is definitely impacted. The most recent stats reveal that 1 in 6 employees are caregivers and they spend an average of 20 hours a week providing care. That’s a part time job on top of the 40 hours+ they give their employer! If you’re not a caregiver, it’s easy to miss out on this prime opportunity to help employees juggle all of the demands they have on them. Caregivers have unique challenges like being pulled in many different directions, missing work opportunities, and financial challenges that all impact their wellbeing. In this interview, Amy Goyer, Family and Caregiving Expert, shines a light on the great impact caregiving has on employees, including the challenges they face, their stressors and what they stand to lose as a result of caring for others. Amy Goyer is a writer, speaker and consultant who serves as AARP’s national Family and Caregiving Expert, columnist, and spokesperson. Amy starts off by dropping some eye-opening stats on working caregivers that will blow you away. She takes us on her caregiving journey that started when she was in college. Amy offers her expertise on why employers should care and ways they can support caregivers in their organization. Finally, she leaves us with a tangible tip and a ton of working caregiver resources. [6:15] The stats on working caregivers. [10:00] Amy’s caregiving story that started when she was in college. [21:10] The unique challenges working caregivers face. [25:00] How caregiving impacts wellbeing. [27:03] Her fuel analogy (which she came up with when she realized she needed to take care of herself). [31:09] Why an employer should support caregivers. [33:40] Ways an employer can support caregivers. [38:45] Tangible tip for wellness pros. 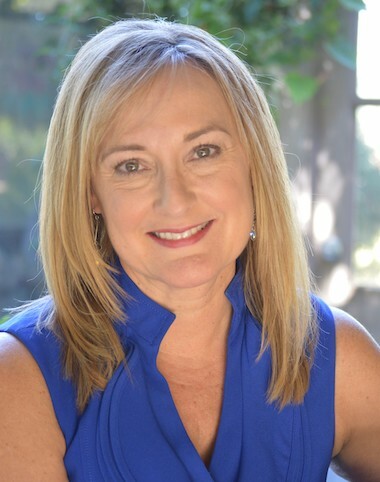 Amy Goyer, author of Juggling Life, Work and Caregiving and Color Your Way Content when Caring for a Loved One is a writer, speaker and consultant specializing in caregiving and family issues. Amy serves as AARP’s national Family and Caregiving Expert, columnist, and spokesperson, and has a Caregiving YouTube series in which she shares her personal caregiving journey and practical, actionable tips for caregivers. A recognized media authority with 35 years of experience in the field of aging, Amy’s work is the perfect fusion of her professional and personal experience; she is a passionate champion for family caregivers and has been one her entire adult life, caring for her grandparents, parents and sister. Connect with her on Facebook, Twitter, Youtube and LinkedIn.